de Leeuw, Reny / Klasser, Gary D.
Pain, especially chronic pain, is a major health care problem, a fact that has precipitated a recent dramatic expansion in pain-related research efforts. 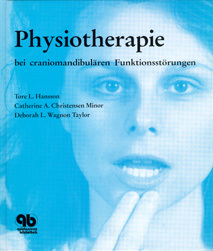 Greene, Charles S. / Laskin, Daniel M.
This totally new book is focused on answering a single broad question: What is currently happening in various research areas that will be clinically applicable to the management of temporomandibular disorders (TMDs) in the near future? Clearly, much of the information discovered about musculoskeletal disorders through the application of new research tools and innovative experimental designs can be directly or indirectly applied to the TMJ. Featuring contributions from more than 40 world-renowned researchers and clinicians in the TMD and orofacial pain field, this comprehensive and clinically oriented book presents current and emerging evidence-based research on TMDs. The authors address the complex group of pathologies that affect the masticatory system through a comprehensive discussion of the anatomy, classification, etiology, diagnosis, and management of TMDs. 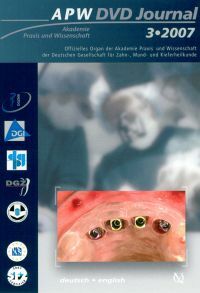 This evidence-based comprehensive volume on bruxism provides answers to many questions arising in everyday dental practice. Researchers, students and specialists will benefit from the in-depth analysis of the subject and the extensive, up-to-date bibliographies. This concise clinical handbook educates dental practitioners seeking to understand, recognise and manage disorders such as sleep apnea, sleep bruxism and chronic pain, which often interfere with or intrude into sleep and are critically important to the practice of dentistry. 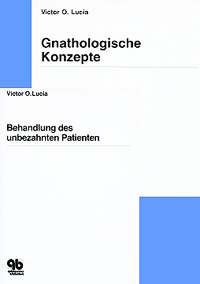 Bruxismus ist eine klinische Erscheinung, der sich der Zahnarzt überaus häufig gegenübergestellt sieht. 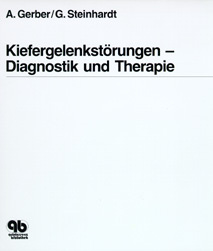 Dennoch herrscht oft Ratlosigkeit, wenn wegen ästhetischer Unzufriedenheit beim Patienten oder aufgrund einer klinischen Diagnose die Entscheidung über die Behandlung getroffen werden muss. The concept of pain management has evolved over the last 50 years. 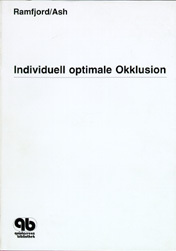 It encompasses several medical disciplines and has now become a distinct dental entity. 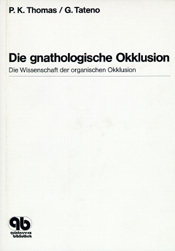 This book explores the diagnostic techniques and management philosophies for common orofacial pain complaints. 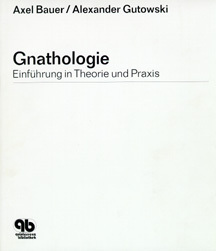 Propriozeptive neuromuskuläre Fazilitation in der Zahnmedizin. 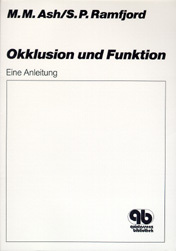 Ash, Major M. /Ramfjord, Sigurd P.
Das klinische und technische Vorgehen bei der Anwendung des heutigen Konzepts der "Funktionellen Okklusion" wird in diesem Handbuch in allen Einzelheiten beschrieben und hervorragend illustriert. Der praktische Gebrauch des Artikulators, die Aufwachstechnik und die Herstellung der sogenannten Michigan-Schiene werden von Grund auf dargestellt und mit Fragen und Antworten zum Selbststudium am Schluß jedes der 12 Kapitel zusammengefaßt. 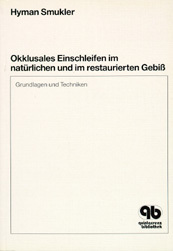 Das Buch ist ein "Praktikum" im wahrsten Sinne des Wortes.